Before he was a film director, Anton Corbijn was a rock photographer. One of his most iconic images, shot in contrasty black and white, depicts Joy Division, whose doomed singer Ian Curtis has turned to look back at the camera as he and his three bandmates enter a subway tunnel or underpass. That photo, which led to Corbijn’s 2007 Curtis biopic “Closer,” was to Manchester miserabilism in 1980 what Life lensman Dennis Stock’s image of James Dean walking in a wet Times Square was to mid-1950s youth alienation. It makes perfect sense that Corbijn has signed on to direct “Life,” a movie tracing the road trip Stock and Dean took from Los Angeles to Fairmount, Indiana, the actor’s hometown, to New York in the late winter of 1955. They had become acquainted at a party hosted by the director Nicholas Ray in 1954. Stock was the Magnum photo agency’s Hollywood representative — his other subjects included John Wayne, Marilyn Monroe, and Audrey Hepburn — and he dreamed up the collaboration with Dean after seeing him in a preview of Elia Kazan’s “East of Eden” in Santa Monica. Dean reportedly waited outside the screening room with his motorcycle. “The story, as I explained it [to Jimmy],” Stock wrote in his 2005 book “James Dean: Fifty Years Ago,” “was to reveal the environments that affected and shaped the unique character of James Byron Dean. We felt a trip to his hometown, Fairmount, Indiana, and to New York, the place of his professional beginnings, would best reveal those influences…. I would solicit an assignment guarantee to cover expenses. The obvious magazine to approach was LIFE…. It took only a week for LIFE to approve the assignment.” They left for Fairmount the first week of February. Life published a number of Stock’s Dean photos under the headline “Moody New Star” in its issue of March 7, 1955. In the spring, Dean acted in Ray’s “Rebel Without a Cause,” and in the summer George Stevens’s “Giant.” He was killed when his Porsche struck another car near Cholame, California, that year on September 30. He was 24. Corbijn’s problem, of course, will be finding an actor capable of exuding Dean’s unique blend of charisma and vulnerability, arrogance and sensitivity. 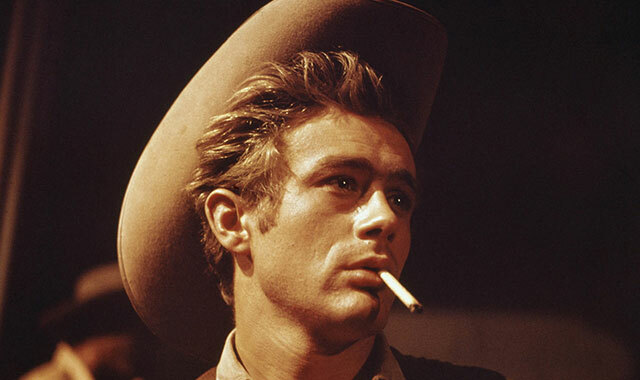 James Franco made a decent stab of it in a 2001 TV movie directed by Mark Rydell, but there is only one James… Dean. According to the Hollywood Reporter, “Life” will be budgeted at $10-15 million and go into production early next year. The script is by Luke Davies. “The King’s Speech” team of Iain Canning and Emile Sherman will produce the picture.